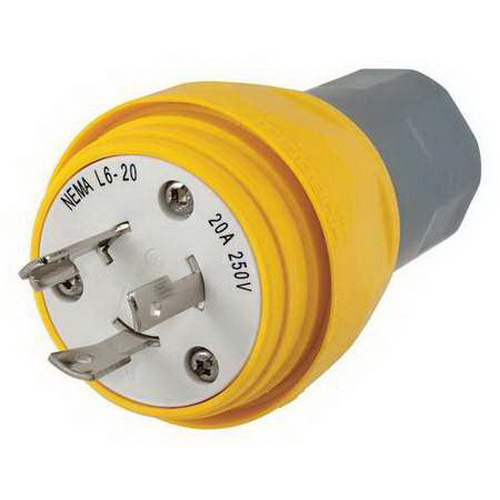 Hubbell-Wiring Twist-Lock® Non-shrouded polarized water tight locking plug has smooth body design that minimizes collection points and simplifies the wash down process. The strain relief nut always seals on the body, while minimizing the debris collection. It has stainless steel hardware and corrosion-resistant connection points. The water tight locking plug meets UL498, CSA certified to C22.2 No. 42, type 4, 4X, 12, 6, 6P, NEMA WD-1, WD-6 and ANSI standards.